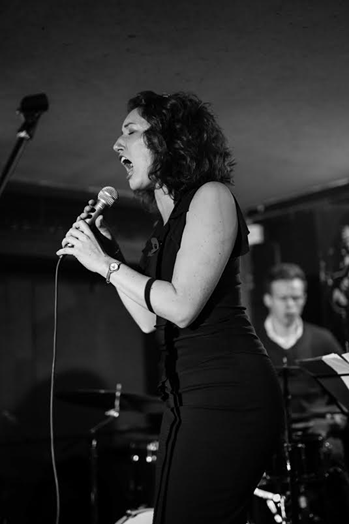 London-based vocalist Jessica Radcliffe had her first big band gig at age 13, before joining the National Youth Jazz Orchestra at 16; she is now NYJO’s vocal Musical Director. She studied at Trinity Laban Conservatoire of Music and Dance, during which time she performed at Ronnie Scott's Bar, The Spice of Life, The Hideaway and on the Entertainment Channel. She has performed in countless venues and festivals with NYJO and Trinity ensembles, at Ronnie Scott's, and with Alan Barnes at Wakefield Jazz Christmas Party. Jessica graduated with a First Class Degree in 2014, having developed 'The Remembrance Project' in her final year, which received high praise from respected jazz musicians and audiences alike. She founded 'The Doodlebugs' in 2012 and joined the 'London Vocal Project' in 2013.